The National Lottery Game – LOTTO – was launched in South Africa on Thursday, March 2, 2000. President Thabo Mbeki launched the game at Yeye Butchery in Langa, outside Cape Town. The first Draw was held on Saturday, March 11, 2000. LOTTO’s first millionaire, Batsirayi Mupfawi pocketed more than R13 million (R13, 831, 850) in the fifth draw after the Jackpot rolled over three times. The largest win on an individual ticket to date is R34 256 346(08 March 2006) Draw number 544. On Saturday, June 29 2002, the first Jackpot roll-down occurred and eight players who matched five numbers plus the bonus were rewarded with R2,6 million each. The first Wednesday Draw was held on October 3, 2001 rolled over to the Saturday Draw. LOTTO’s add-on game, LOTTO Plus, was launched in November 2003. The first draw took place on Wednesday, November 26. The highest record of sales since the launch was for the Draw held on Saturday, February 15, 2003, when sales reached more than R107 million, followed by the Draw held on September 30, 2000 when sales were R105 million. The most people to share a single Jackpot were on Saturday, March 15, 2003 when the numbers 23, 25, 27, 29, 31, 33 rolled out. Thirty-three players walked away with R111,901 each after matching the six numbers. THIRTY-SIX people will have won a prize on the National Lottery by the time you finish reading this line. A TOTAL of one in seven National Lottery jackpot winners has given #1million or more to a family member or friend - meaning an extra 728 millionaires were created. SIXTY-FIVE per cent of winners say they are happier since hitting the jackpot. In all, 92 per cent of winners who were married when they won, still are. THREE quarters of big winners have moved house. Of these, 65 per cent headed to the countryside, but 90 per cent moved within 20 miles of their old home. ONE in 10 winners bought at least 10 car s. Top 5 favourite motors are: 1 L and Rover, 2 BMW 3 Series, 3 Jaguar, 4 Ford Fiesta, 5 VW Golf. THE oldest known jackpot winner was 87-year-old Gracie Vera Coulson who scooped #1,0 9 0,3 87. Youngest was Tracey Makin, 16, who won #1million. BASED on jackpot winners, the five luckiest jobs are: 1 Builder, 2 Machine operator, 3 Administrator/office worker, 4 Driver, 5 Chef/publican/cook. THE luckiest postcode areas are: 1 Ilford, 2 Romford, 3 Enfield, 4 Perth, 5 Tunbridge Wells, 6 Watford, 7 Liverpool, 8 Northampton, 9 Doncaster, 10 Dartford. CONTRARY to popular belief, the draw balls are not painted ping pong balls. They weigh 80 grams each and are made of solid latex rubber. TO date, more than $17billion has been raised for Good Causes and more than 200,000 individual awards have been made across the UK. ONE lucky player only found out he had won $1.5million when his girlfriend checked his trouser pockets just before putting them in the wash.
OF the 87 per cent of winners who were employed, just a quarter are still in work. But a third of all winners starte d their own business or bought in to one. THREE lads refused entry to a club for not wearing shirts bought some at an all night Tesco and won #20,000 on a scratchcard. UNUSUAL purchases by lottery millionaires include a gothic folly, a mini road sweeper, a water buffalo, a football club, and an acre on the moon. One woman was so happy she won she wanted to shout from the rooftops. So her winners adviser took her to the top floor and let her shout "I've won". MORE than 70 per cent of adults play the National Lottery on a regular basis. More than $26billion has been paid out in prizes since its launch. South Australia and New South Wales were the first Australian states to introduce instant games in the 1970\'s. Other states followed in the early 1980\'s. In North America, government-operated lotteries exist in 42 US states, the District of Columbia, Mexico, Puerto Rico, the U.S. Virgin Islands and all Canadian provinces. Worldwide, publicly-operated lotteries exist in at least 100 countries on every inhabited continent. During US lottery sales totaled $53.2 billion. Canadian sales reached $8.2 billion ($Can). New York led the U.S. (and North America) with fiscal 2005 sales of $6.2 billion, followed by Massachusetts with sales of $4.5 billion. The Canadian leaders were Quebec ($3.1 billion) and Ontario ($2.3 billion). Worldwide sales honors go to Japan's Dai-ichi Kangyo Bank Lottery, with sales of $7.9 billion ($US) in 2001. They were followed by the U.K. National Lottery, Loterias y Apuestas del Estado of Spain, Lottomatica of Italy, and France's La Francaise des Jeux. Since the New Hampshire lottery was founded in 1964, lotteries have raised more than $200 billion for government programs in North America. In fiscal year 04 Canadian lotteries transferred $3.1 billion ($CAN) to their beneficiaries, while U.S. lotteries turned over $14.5 billion ($US) to theirs. Lottery employees, their immediate family and employees of lottery suppliers are usually not allowed to play the lottery. In practice, there is no way that employees could alter the outcome of a game in their favor, but lottery officials generally believe that public confidence would be damaged should an employee win a large prize. Italian SuperEnalotto largest lottery winning received so far was hit on the 4th of May 2005 and amounted to EUR 71,800,000. 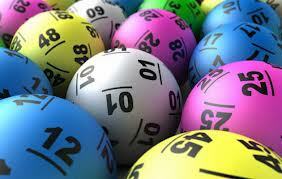 The largest lotto jackpot in history was won on February 18, 2006 by a group of eight Nebraska coworkers. The group elected to receive a lump sum payment of $177.3 million (or $22.2 million each) in lieu of an annuity that would have paid out $365 million over a 30 year period. The winning Powerball ticket was purchased in Lincoln, Nebraska. Lottery winners can usually not remain anonymous because state and provincial lawmakers want the public to know that the lottery is honestly run and so require that at a minimum the name of the winner and their city of residence be made public. This way the public can be reassured that the prize really was paid out to a real person. Contrary to popular belief, it is not true that the odds of winning the lottery are worse than being struck by lightning. You only need to consider the awarding of large jackpots to dispell this myth. In 1996 1,136 people won $1,000,000 or more playing North American lotteries. An additional 4,520 won $100,000 or more. By contrast, 91 people were killed by lightning. In addition, there's no second prize in a lightning strike. In a lottery, you win lesser amounts of money by coming close to the winning numbers. On many games odds of 1 in 5 or 1 in 4 are not uncommon. Lotteries award over $50 million in prizes in North America every day. Lightning isn't nearly that lenient. The scratchable surface on Scratch'n'Win tickets are made of Latex, which is derived from the sap of the Hevea brasiliensis tree. Latex is also used to manufacture syringes, gloves, goggles, rubber bands, erasers, carpeting, tires, shoe soles, balloons, pacifiers, diaphragms and condoms!